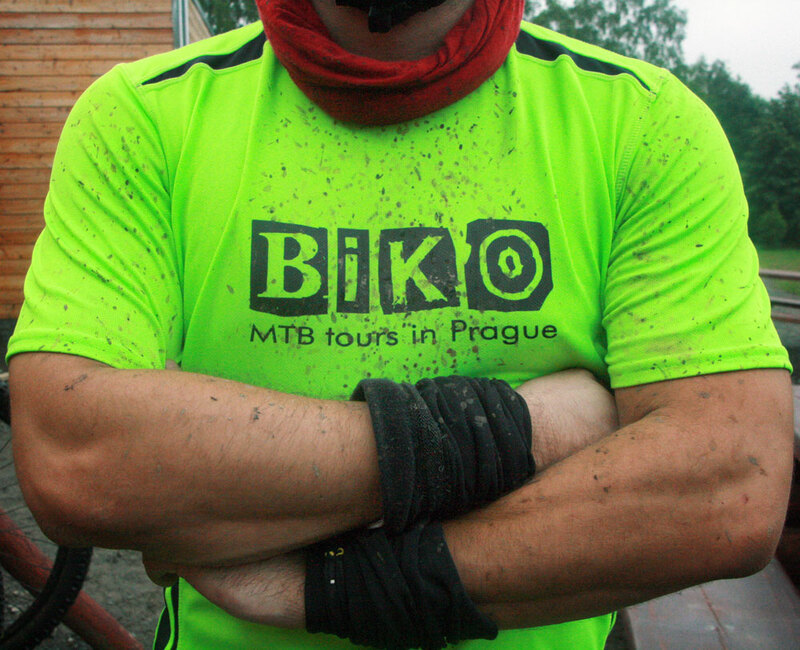 A small kit for your big adventures - BIKO BLOG - Cycling in Prague, Czech Republic & more! I have been an adventure guide for 7 years now and before that I travelled quite lot, both for leisure and for work. I don’t care to be Rambo or Bear Grylls but MacGyver a bit yes 🙂 I always loved to capitalize my experience and get better and better in solving those difficult situation that happen along the way. I think that if you are well preprared they are not actually that difficult anymore. I spend a lot of time with clients and there are many questions they ask that are recurrent. Among them there is: What do you carry in your backpack? I like this one because I take great care in preparing my equipment. Not only becasue I like gadgets but also because I am minimalist so I try hard to carry as less as possible. But what I carry must be very useful to solve as many problems as posssible. I always change my backpack according to the kind of adventure I am going to face, biking hiking skiing travelling climbing, but there is one thing that I always have with me and that I value a lot, a general adventure kit. I am now going to talk about it in details. As I said I am minimalist so I don’t like to carry too much stuff around. So my adventure kit is really small and it can stay in the backpack without taking the space of other important things. 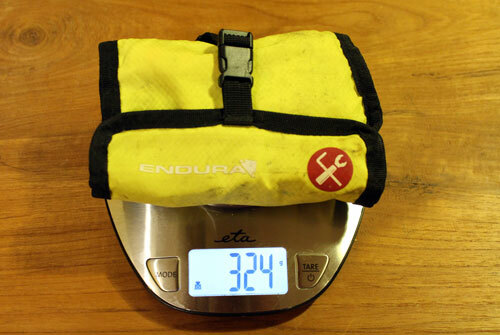 And it is light, just 324 grams. Inside there are few simple things, easy to find and buy. Most of them you have already around you. When I have plenty of space I am carrying my Swiss knife, long time friend and companion of thousands adventures. 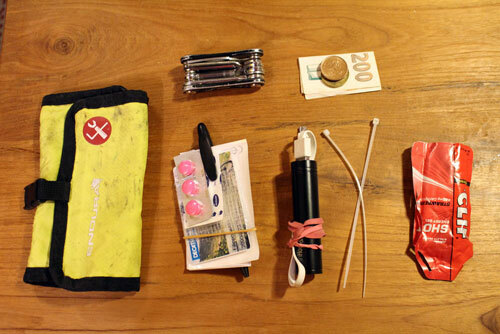 But for my minimalistic adventure kit I prefere to have a good bike multitool. 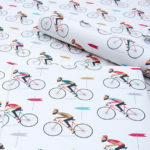 The reason is that it is has a very wide range of tools and it is small. 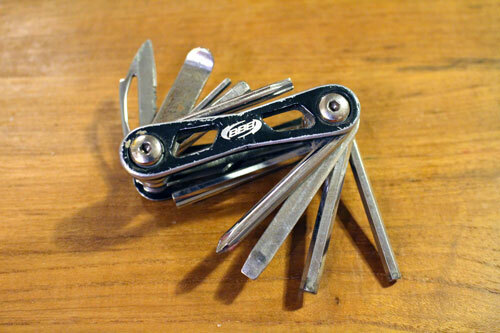 Important: in order to substitute the swiss knife, the multitool you get must have a blade. This is what I have. 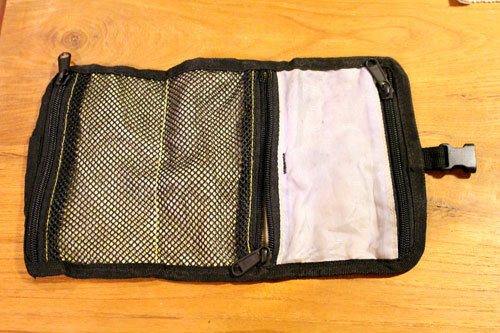 Last time I used it for… removing a stuck CD from my computer slot. This is a classic and for a reason. I cannot live without plastic bands, they are such a incredible inventions and can be used in million different ways. Metal clips can be straighten and used for example to reset electronical appliances or as a needle to sewing someting. 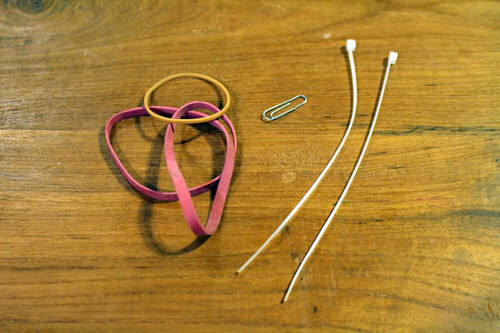 Elastic rubberbands need no explanations. Last time I used the clip for… ejecting the sim card from my Xiaomi phone having forgotten where I put the specific special key. Do you remember that time when you forgot your wallet and you were hungry like a wolf or you coudn’t find any change for paying the parking? I do. Last time I used it for… forgot to put some money in my wallet so I had 0 and needed to pay a bill in a place with no credit card terminal. Even if you are super tough and don’t feel the pain it is useful to have painkillers in your kit to make some friend/wife/client happy. 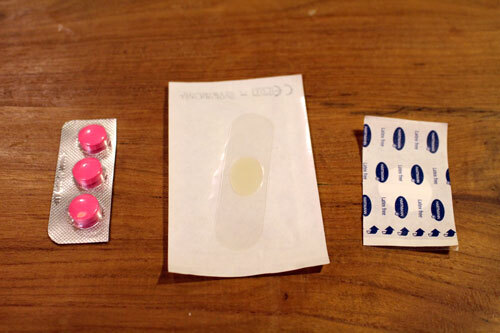 Plasters are easy to carry and useful Especially the one for blisters. So many times they saved my day. One of the favourite items of every modern adventurer and handy man. It can fix almost anything, even your body (for short time though, until you run to the hospital). Only one problem, it is very big and takes a lot of space. Don’t worry, I found a way to solve the problem. 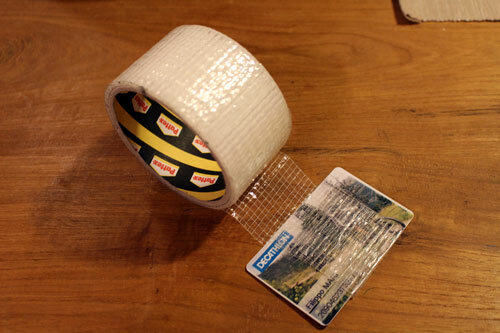 Just wrap as much as you want to carry around a plastic card, one of the many useless fidelity card you are surely carrying in your wallet. The card will also turn useful from time to time. 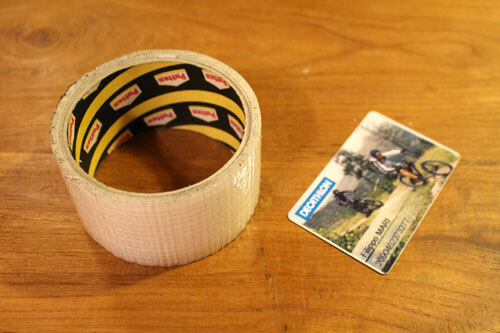 For example once I cut my bike tyre and the new innertube would get out so I places a card between the tube and the tyre and made it home. 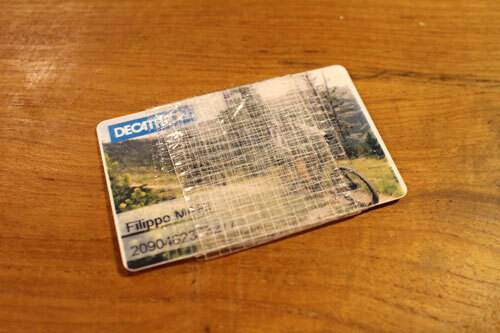 Last time I used the dact tape for… cut my waterproof jacket with a thorn while it was raining. I patched the hole with the tape. It is very useful to have a white piece of paper with you. 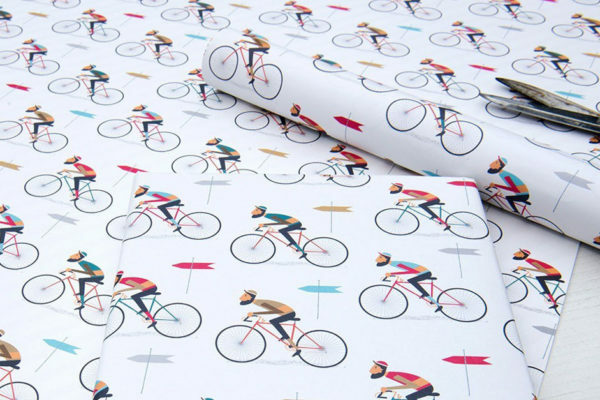 You can use it for million different reason but surely the most recurrent will be for writing notes. 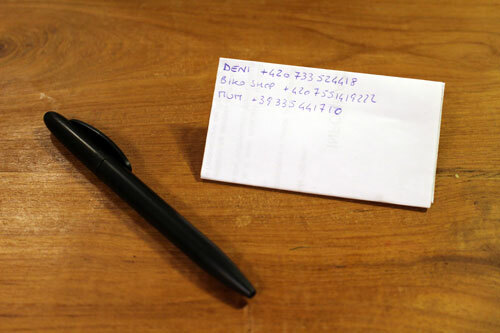 Being able to write a note could get very important in some situations. Of course you will also need a small pen. And while you have a white paper, why not to write in a corner three useful phone number you might need in case of emergency. I don’t know you but if I loose my phone or the battery dies I have problems remembering phone numbers by heart. 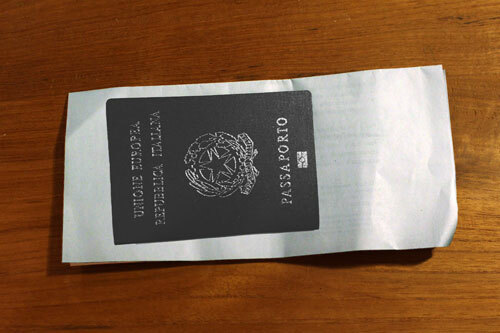 Last time I used the paper for… writing to a lost tourist the right stop where to exit the tram. As my job is very active and I also train a lot, I am afraid to be without sugars and get weak. Unfortunately happens to me many times. 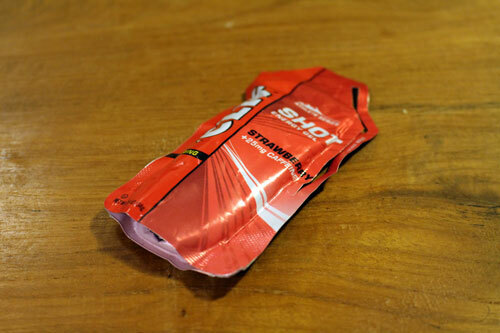 That is why I always carry with me a small energy bar or gel. Once I was taking with me a phone recharger withs a shorter cable but the truth is that a small power bank is way better as you don’t need to plug in. This GP I have recently found is really cheap and small, just perfect for the purpose. Last but not least having copies of your documents will not hurt. 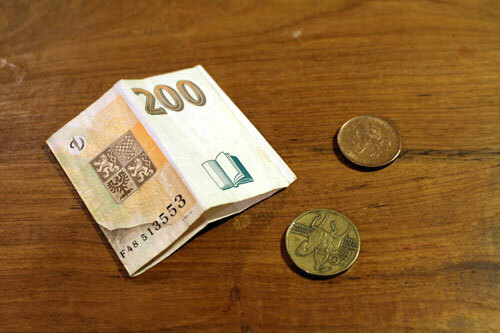 Having them with you it is easy in term of weight and space and they might be very helpful in certain situations like for example if you loose your wallet or you need to rent something. 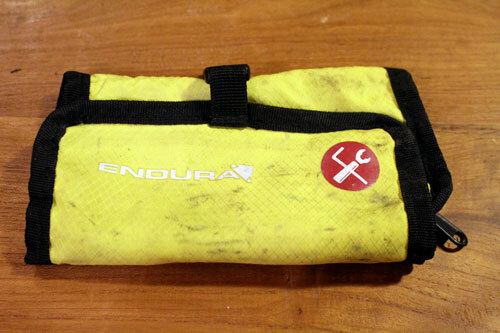 Sometimes I add to my kit a very small head lamp. 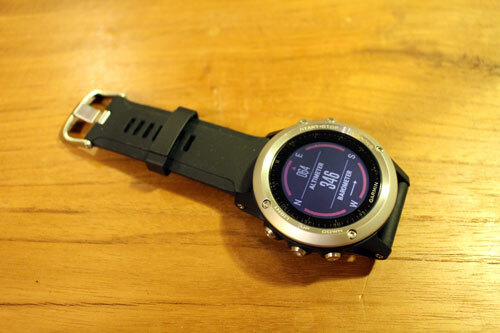 I got one that is only 70 grams with the battery but enough powerful. I don’t have it always with me but when I go away for a few days I put it in the kit. It fits in the tool bag so no problem. 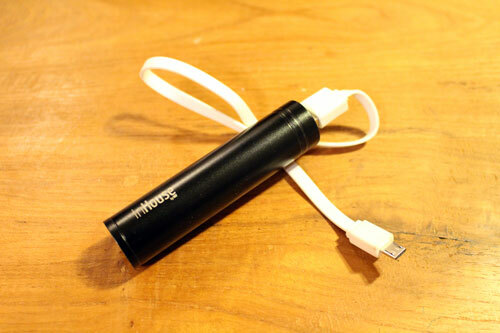 It is important that you get a battery that can be recharged with usb so you can use the powerbank you have with you. 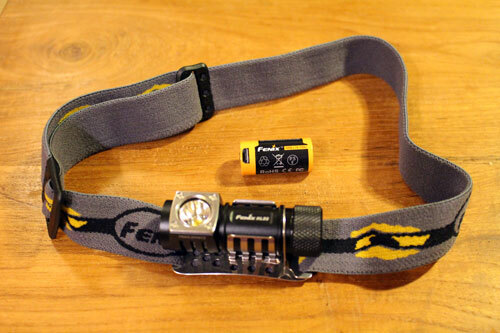 Here is the headlamp I have. It took me long time to get one of this expensive toys but now that I have one I can say that it is a great toy. 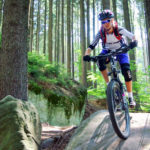 Not only you can enjoy all the statistics of your sport activities but it is also packed with useful widgets that help you in your daily adventures. Highly recommended. I have this. Note about the main picture (copyright HowStuffWorks). 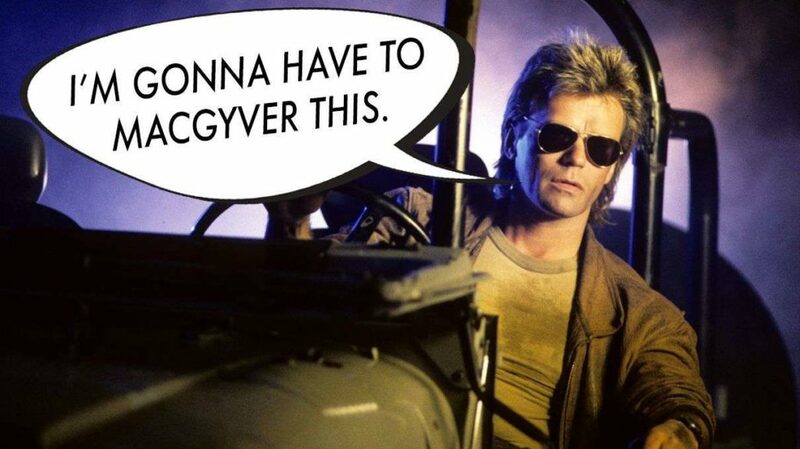 I am a big fan of MacGyver… did you know that the verb “MacGyver” made it into the Oxford Dictionaries in 2015?! Read more about it here. I hope you liked the article. Write me if you have any tip about items to add to my kit.